had a measurable positive impact on all areas of my life. Through my Reiki treatments with Joan Darlene, I have stepped into a new world of serenity and optimism that I did not know existed within me. I have also watched my children blossom from their Reiki sessions with Joan Darlene. 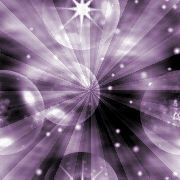 I recommend Reiki to everyone, most especially with Joan Darlene, who truly cares about her clients. Feel Free to Snag Mine.